MainAll NewsHaredi Community ‏Campaign to increase enlistment - in haredi media? Defense establishment, IDF seek to allay fears army service conflict with religious lifestyle with new campaign in haredi media. 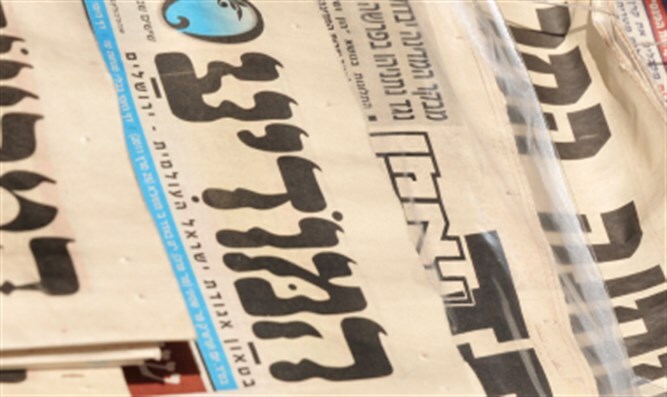 The IDF and the Defense Ministry's political-security wing are expected to launch a campaign in the near future to encourage the recruitment of haredim into the army in the haredi media, Yisrael Hayom reported. The IDF noted that the intention is to build recruitment campaign specifically geared towards the haredi population, which will explain why it is important to serve in the army, what the service can provide the recruits, and how they can serve in the IDF without abandoning their faith and religion. The campaign is aimed, among other things, at easing the fears of recruitment. The IDF estimates that if the army is successful, the trend of an increase in the number of haredim serving in the army will continue, and that 2018 will end with the recruitment of more than 3,000 haredim into the army. The IDF has only new 2,850 haredi recruits, while the enlistment threshold is set at 3,200. The number of haredim serving in the IDF has risen dramatically in recent years. In 2010 only 300 haredim served in the IDF, compared with about 9,000 today. Meanwhile, the IDF is considering opening another company for haredim in the Golani Brigade, in addition to the Givati ​​and Paratroops divisions.